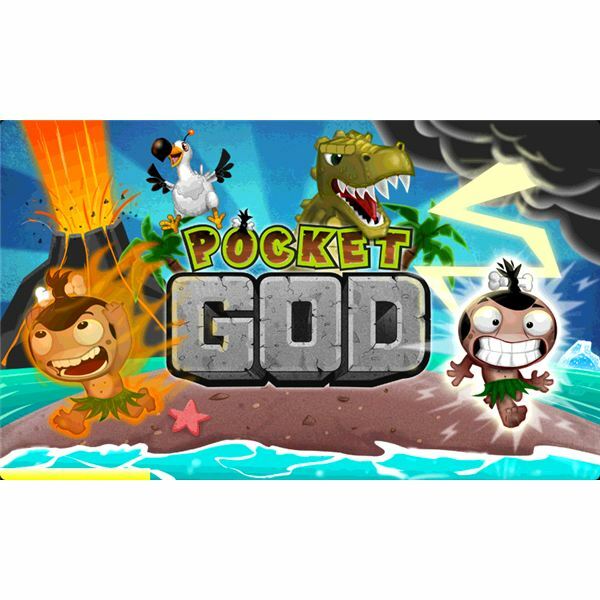 Pocket God is a game that was originally released on the iPhone and has now found its way to the iPad as well as Android and Windows Phone 7 devices. The game is regularly updated with new chapters to keep everything fresh and the world keeps expanding with new possibilities of interaction. The additions are deliberately called ‘chapters’ as the game does not feature actual levels. Instead, you can control a variety of islands that can be selected, which all have their unique features. The game imposes virtually no restrictions on the player and everyone is allowed to do whatever comes into their mind. There are also hardly any real consequences connected to actions, which means that, for instance, when an islander dies, a new one can be summoned just by pressing the ‘plus’ sign. This freedom is pretty much what makes the game great and popular on the iOS, Android and Windows Phone 7 platforms. Although seemingly simple and perhaps dull at first, the player is encouraged to explore and constantly find new items to interact with. The game even incorporates many of the devices’ hardware features so that tilting will mess with gravity and shaking will create an earthquake — which you may consider your first two Pocket God tips. In short, the game is challenging enough, is visually very sound and gameplay-wise balanced enough, to keep you occupied for extensive periods of time. 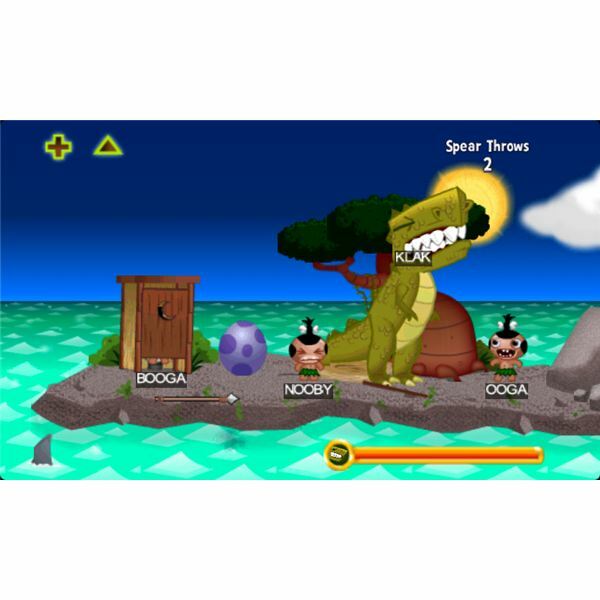 As Pocket God is a lot more than it seems at first you will benefit from learning about its secrets. We will now dive into the functions of the game and reveal many Pocket God tips, tricks and cheats to get you going and really open your eyes to what you can do! 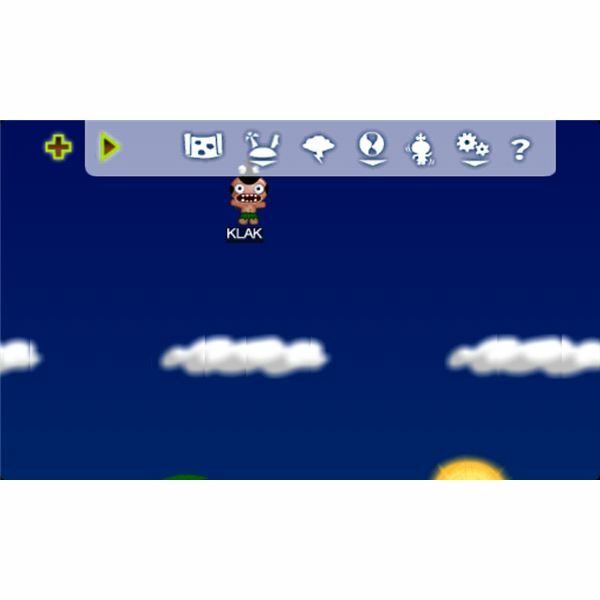 Mini-game: Drag one of the islanders to the top of the screen above the highest layer of clouds and release him. A doodle-bounce game will emerge. As mentioned before, using your devices’ accelerometer will have an effect on the game. Shaking will cause an earthquake that will wipe the islanders — or ‘Pygmies’ — off their feet, while tilting will have the same effect but because of gravity changes. Turning your screen upside down quickly will make all islanders fall into space and oblivion. The same will happen to any of the loose items. Interestingly, the shark will not undergo this fate and will always fall back into the water. One of the first things that you will discover is that islanders can be picked up and dropped at various places. This can be on the island, but also in the water or any place whatsoever. You can ‘flick’ the islanders into the distance by positioning your finger underneath them and moving it upwards quickly. We will see later why you would want to use this feature. Selecting the arrow next to the ‘plus’ sign will reveal a menu of possibilities. Here you can select items available to the islanders, the weather, other world features, and other settings like naming the islanders. 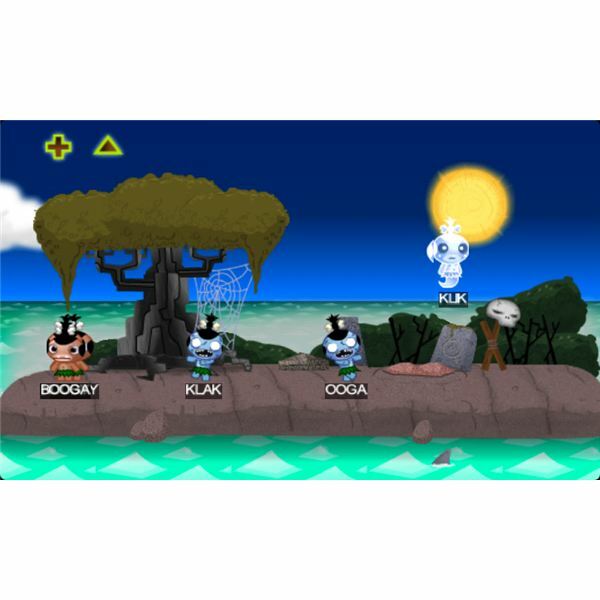 There are various methods of killing islanders in Pocket God. You can drown them but also electrocute them. For this, change the weather to cloudy and drag a line from the cloud to the islander. A thunder strike will instantly vaporize the pygmy. You can also use thunder strikes to create a ‘piece of art’ by drawing a pattern from the cloud without having it hit either an Oog or logs. Once released the lightning strike will follow your pattern. Although islanders may (constantly) claim to be hungry, they will not die from hunger. Therefore there is no need to stress out over this if you want your islanders to live. Picking up an islander and dangling him above a shark will make the animal rise up and eat him. The sun and moon can be moved by selecting them as you would with any item. You can quickly switch between night and day by pulling the moon and sun down beyond the horizon. The sun can be expanded through ‘pinch-to-zooming’ and contracted. This will have a climate effect where a big sun will cause a heat wave and small sun a big chill. Tapping the bird will make him go number two, which may or may not land on the heads of islanders — this is up to you. Tapping the moon will summon a bat. The bat can and will bite an Oog, who in turn will become a vampire. Just like in real life, vampires cannot stand the sun and bringing back daylight will burn it. Tapping the screen to the rhythm of the music will make the pygmies dance and create fireworks in the sky. Swiping the water swiftly from one side of the screen to the other will create a tsunami, instantly bringing you to the underwater level. These tips and tricks will be effective on any Island in Pocket God. Naturally each of the areas have their own cheats, so let's have a look at those! The first island is the one you start off with when playing the game for the first time. Unique items and characteristics are — a magnifying glass, an anthill and a meteorite. The island contains the following unique tips and tricks. Mini-game: The volcano can explode. By flicking pygmies into it the volcano will slowly start boiling up. After the third precise hit the volcano will spew his fire, killing everyone on the island. Tap the anthill repeatedly to summon the ants. Drag a line from the anthill to an islander to have the ants devour him or her. The bones will be brought back to their nest. Use the magnifying glass to burn a pygmy or a walking ant. Naturally this will only work during the day when the sun is up. Gather pygmies underneath the palm tree and touch the coconut. It will bounce off of the heads of the islanders and crack open. The more it bounces the higher your record will be. Use the meteorite to block the sun and create an eclipse. This will also keep the previously mentioned vampires alive during daylight. Double tap the statues’ gem to light it up, instantly killing all island inhabitants. The second island is an ice level where your pygmies might look a bit out of place. Unique items here are — an iceberg and an igloo. This island has the following secrets waiting to be unraveled. Mini-game: Launch a pygmy at the iceberg in the distance to unleash the Ice monster. Keep launching pygmies at the monster to beat it. Set a record by defeating it as soon as possible. Have one of the islanders catch a fish with the fishing rod. Now drop both the pygmy and the fish inside the igloo. He will prepare himself a lunch. Pinch to expand the sun. The pygmies will get hot and create holes in the surface. One big hole will appear. Hover a pygmy above this hole to have a monster come out and grab the islander. While the monster holds the pygmy you can pull it to release it, ripping off the head of the islander. Change from the North Peninsula to the Island Two level so that the charcoaled pygmy (see next section) gets transported. Now create a hole with an overheated regular pygmy and drop the charcoaled one into the hole. A massive geyser will now erupt! Shrinking the sun will freeze the pygmies. A simple tap will have them disintegrate on the spot. The third area is the top half of the world’s peninsula and not another island. This does not have any repercussions for the gameplay. Unique items here are — a toilet, the possibility to create fire and a dinosaur egg. The following hints will get you on your way in this Pocket God level. Mini-game: Move the egg and let it bounce off the ground a few times. The dinosaur egg will hatch which will summon the big dinosaur mother ready to protect her offspring. The mother gains strength by eating islanders and can be defeated by pygmies using the spear. Defeat the dinosaur as soon as possible to set a record! Use the dinosaur egg to either trap an islander or knock him off the island. Thunder strikes are also useful to create a fire. Let the islander collect the three logs. Make sure you have bad weather turned on and create a thunder strike to hit the pile of wood. You now have a fire, which will burn continuously. When an islander catches a fish, you can pick the fish up and land it on the fire pile where it is roasted. Make sure the bird does not eat it before the islander! Hold a pygmy above the fire and roast him. The islander will now become charcoaled. Read what to do with the burned pygmy in the Island Two section! A pygmy will occupy the toilet. Make sure you knock on the door before another islander explodes before being able to go to the toilet. The southern part of the peninsula somewhat resembles the scene of a horror movie. Unique features of this area include — a zombie grave, pygmy ghosts and a spider web. Let's see what this part of the Pocket God peninsula has in store for us. Mini-game: Stick a pygmy to the spider web and tap him. A spider will come down to wind him into a cocoon, which will explode into many small spider-young. A mother spider will come to protect her offspring and just like with the dinosaur, the islanders can only defeat her with the spear. Tap the sand on the grave to create a hole. Drop an islander inside the grave and put back the sand. The islander will now arise a pygmy zombie! Zombies feed off of live pygmies, which when eaten will turn into zombies themselves. Tap the zombie to have it disintegrate and turn into a ghost. Ghosts will indefinitely hover around and can be drawn to the light when selected. Ghosts can also haunt islanders. Simply select a ghost and drag it towards an unsuspecting islander who in turn will be scared to death! The underwater section is the odd one in the bunch and I assume this needs no further explanation. Unique items here include — a ship's anchor and a mysterious plug. Here is what you can do in the Pocket God underwater level. Mini-game: Bouncing the anchor off the ocean floor will summon incoming piranhas. Your task is to lead the piranhas to the pygmies so they can eat them. Get as much as you can to set a record but make sure the fish do not crash into each other as the game will finish. Mini-game: Click on the bucket of fish to summon a shark with a laser on his back. Use the games’ accelerometer to aim the crosshair at the pygmies. Shoot as many as you can before the shark swims off again. Handing the pygmies one of the fish from the bucket will have the shark eat him or her. Mini-game: Unplug the drain and put an islander in the resulting water-twirl. The pygmy will be sucked in, revealing an underwater chamber with a spiked ceiling and floor. Make sure to maneuver yourself within the room as long as possible to set a record! Tap the spear sticking from the monument to hit as many pygmies as you can. Touch the screen and circle around somewhere in an empty area to create a massive water-twirl, which will keep all the available pygmies in its grasp. Pocket God is a fascinating game that has many, many tricks up its sleeve. Besides just messing around with the islanders and exploring the various circumstances, each level has its own secrets and undiscovered territory to keep you hooked for many hours. These Pocket God hints may not be entirely complete, but surely will explain most of the secrets hidden within the game. It is up to you to use the list for cheating or just to check if you found out everything there is to discover in Pocket God, whether you play it on Android, iOS or Windows Phone 7! Note: Don't hesistate to post your favorite Pocket God tips, tricks or cheats in the comments section! All screenshots by the author. Top Windows Phone Snooker Game – Pot the Black with International Snooker!